Edited with text by Sabine Maria Schmidt, Julia Draganovic, Christoph Faulhaber. Text by Inke Arns, Holger Kube Ventura, Víctor Palacios Armendáriz, Reinhard Spieler, Oliver Zybok, et al. 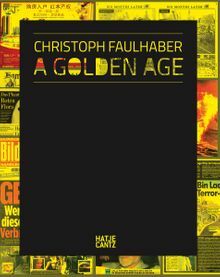 The first comprehensive monograph for German photographer, filmmaker and performance artist Christoph Faulhaber (born 1972) chronicles his film and performance works—including previously undocumented early performances, such as the land-art performance Schwarzspecht (1995)—and includes pictures and text from his solo exhibition at Kunsthalle Osnabrück. Paperback, 9 x 11.5 in. / 160 pgs / 327 color.